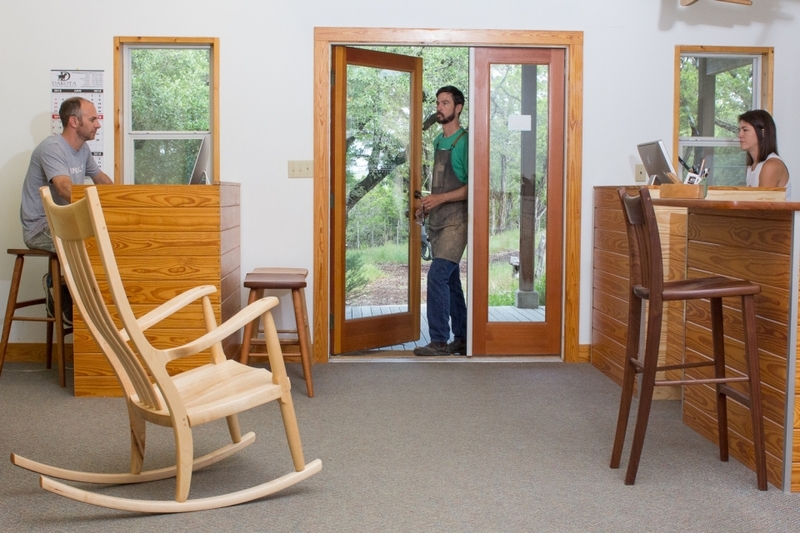 We manage, account, and meet where we show the furniture to visitors. 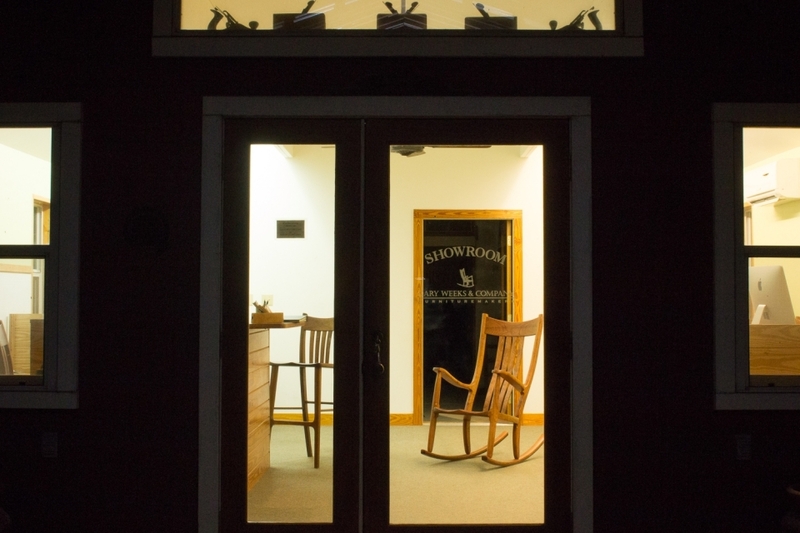 We keep examples of all the chairs and barstools in the showroom. Sometimes we have rockers that can be taken, but usually for them and for most other things, we take orders. We ship on the dates we specify on invoices, with rare exception. This requires tight control of inquiries, purchases, scheduling, production, and finishing--and hinges on a database we developed. We are in and out of the office randomly during the day, sometimes missing calls, but we try to be prompt with replies, status reports, and service. 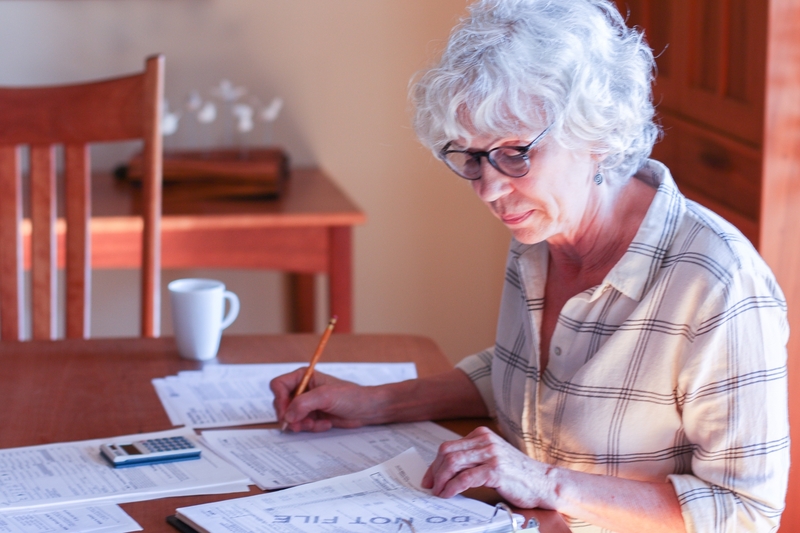 Leslie keeps the financial statements clean, accurate and current. 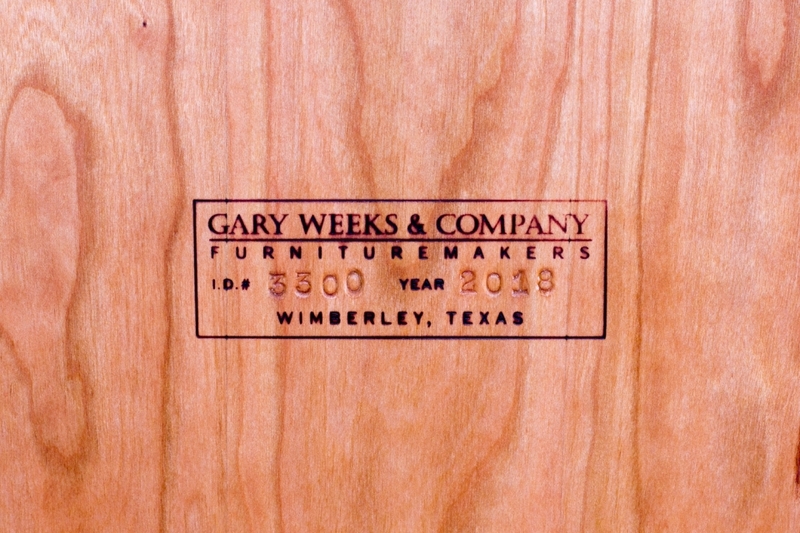 Each piece of furniture is branded for the auctions of the 22nd century and stamped with an individual identification number for its owner's record. The maps on the showroom wall get attention--pins therein represent towns where we have patrons. Towns with a patron get red pins, towns with more than one patron get orange pins. We meet in here to figure stuff out. The kids come to work some days and some afternoons. They decorate crate tops and practice office work. 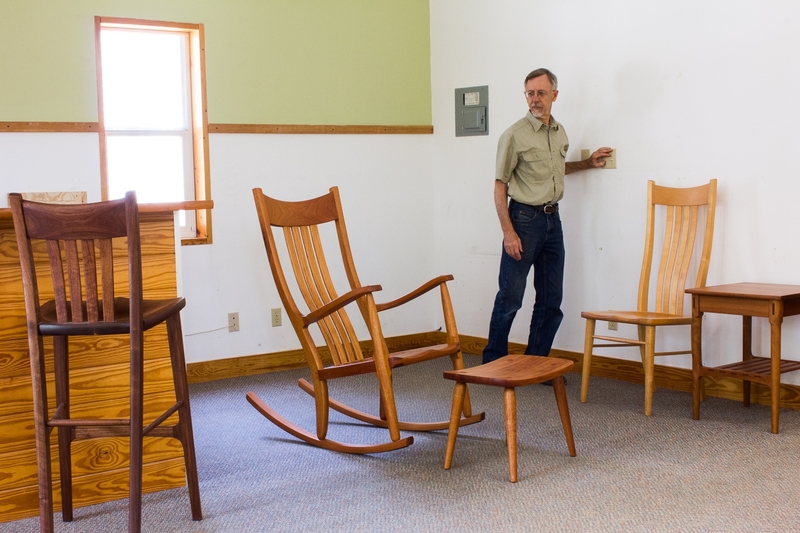 Some guests come to try out a rocker. Some come to pick up their furniture.